Spanning more than a lifetime ago, the Suffragette Movement in 1893 has left me with a life of freedom. A life of choice and opportunity. Some people like to think these achievements were so graciously granted to us by the testosterone dominated government and that they weren’t the result of years of ‘nasty women’ fighting for gender equality. But they should know, we are never given societal change. We fight for it. The line of strong women from which I derive from perfectly reflects these ideals. My grandmother; a child of the First Wave of Feminism, was grateful to be given the right to vote and worked like a nursing trailblazer in one of few acceptable career options for women. My mother has lived through the Second and Third Waves, not being afraid to protest societal expectations of women whilst choosing to be a stay at home mother. The Fourth Wave is mine, and by channelling the strength of the ‘nasty women’ who fought before me, including those in my family-tree, maybe in my lifetime I’ll be able to see girls grow up in a bias free world once misogyny dies. 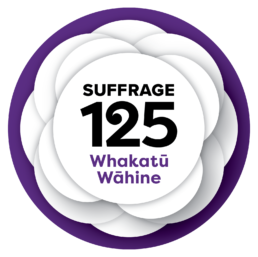 Kate Edgar, Kate Sheppard…. Maybe I’m next?